NMU academic activities disrupted by protest action - SABC News - Breaking news, special reports, world, business, sport coverage of all South African current events. Africa's news leader. 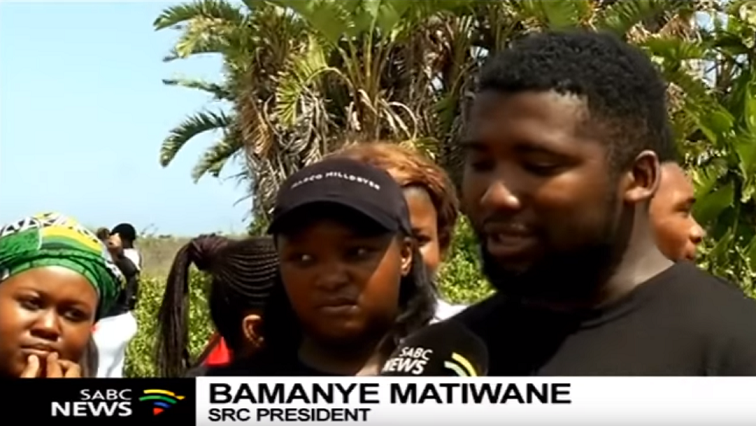 SRC President Bamanye Matiwane says that they will not stop protesting until students have accommodation. The academic programme at the Nelson Mandela University in Port Elizabeth have been disrupted by protest action. Small groups of students are demanding accommodation and shuttle services. They have blocked off entrances to North and South campus of the tertiary institution. NMU students insist on making their grievances known. They first went door-to-door around the campus to disrupt classes. The disruptions are expected to last until there is permanent solution. The university is yet to build 1800 new accommodation rooms it promised. NMU says it’s keen to address the issues, but that can only be done in a formal meeting. In the meantime, police have been called in for intervention. Classes are expected to continue. This entry was posted on 17 Apr 2019,06:39PM at 6:39 PM and is filed under South Africa, Homepage Featured Story Slider. You can follow any responses to this entry through the RSS 2.0 feed. Both comments and pings are currently closed.